You’ve decided you want to attend the 2018 ACRM Conference in Dallas. That’s great! This is going to be a great opportunity to network with other professionals and bring home new contacts, friends and research. If you want your employer to pick up the tab, you’ll need a strong case for attending. Here are some conversation points to help get you on the way to Dallas. 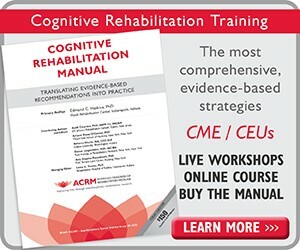 ACRM is the BEST place to meet respected leaders in your rehab field. There’s no substitute to an in-person meeting to share knowledge, evidence, and experience in the same place. 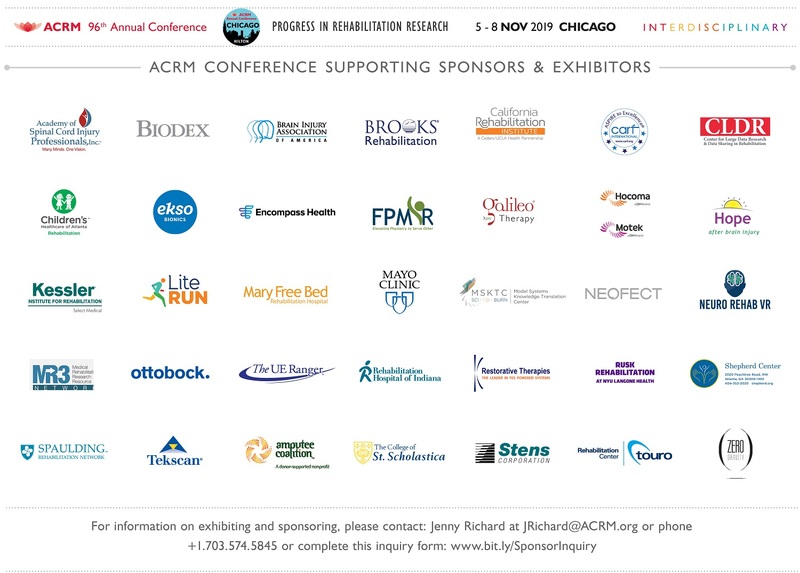 ACRM’s Annual Conference can help connect you with exhibitors, mentors, collaborators, and funders. Whether you join us for just one day, all six, or anywhere in between, you’re sure to walk away with cutting-edge, evidence-based knowledge that you and your team can put to work immediately. 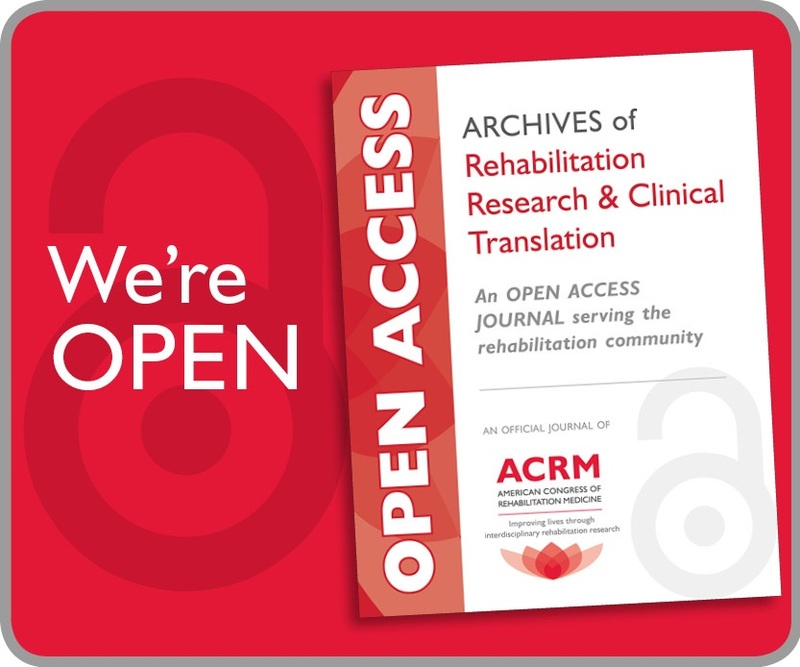 Be part of ACRM’s voice in rehabilitation research! With dozens of meetings, 19+ community groups, and tons of ways to get involved, there’s no better place to help advance the field. So come join us in improving lives. 4. Advance Your Career, and Stay on Budget Too! 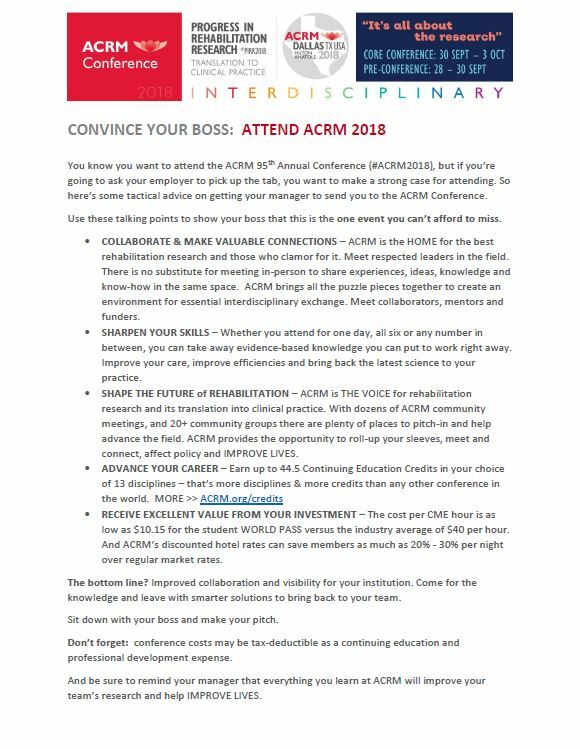 At the ACRM Annual Conference, you can earn up to 44.5 Continuing Education Credits in 15 difference disciplines—that’s more than any other conference in the world. And the cost per CME hour could be as low as $10.50, versus the industry average of $40 per hour. 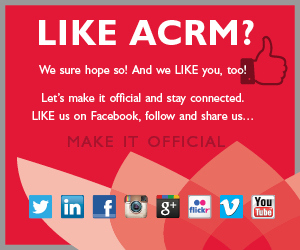 AND, ACRM’s discounted hotel rates can save members as much as 30% to 40% per night over regular market rates. Check out the online program HERE. The WORLD PASS is the best value overall, for those attending the core conference and any add-ons, like instructional courses and CME/CEUs. View the ACRM program content ahead of time to determine which courses and sessions will most benefit you and your team. Many symposia and pre-conference instructional courses make their material available as PDFs, which are also available as part of the WORLD PASS. Just one more way conference attendance benefits your whole team.